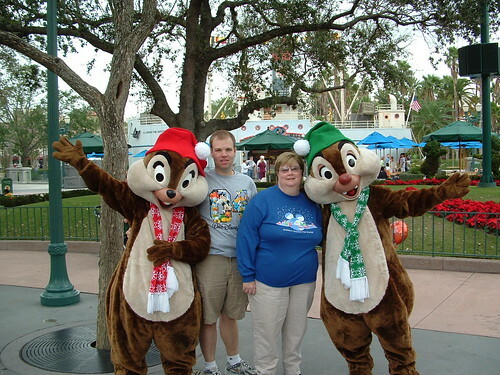 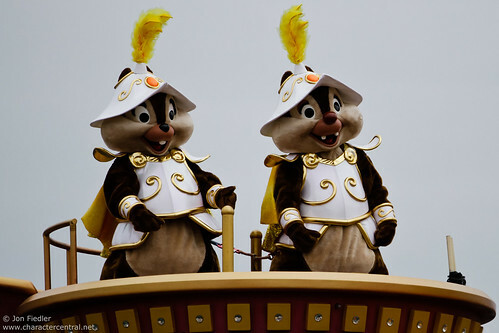 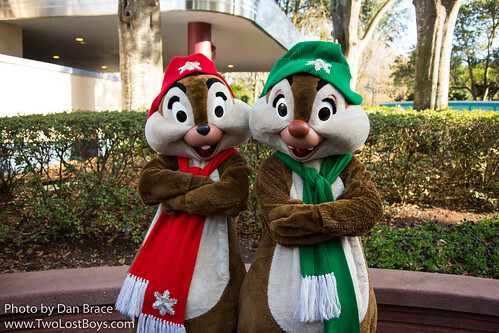 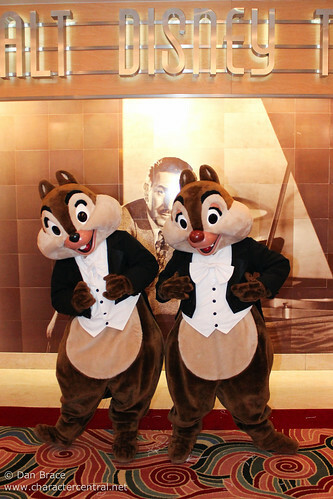 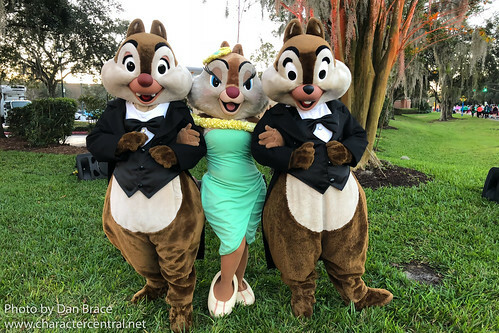 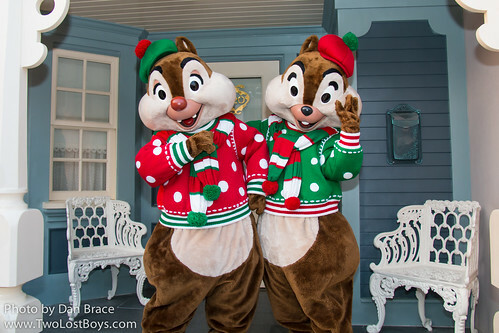 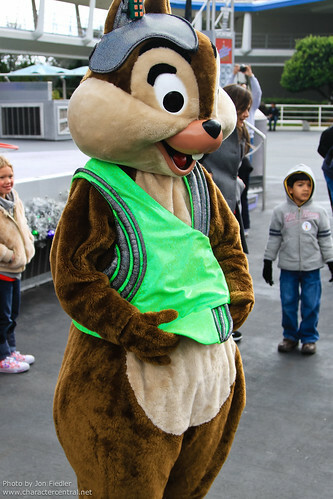 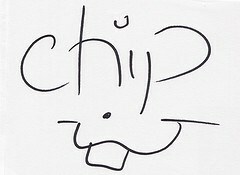 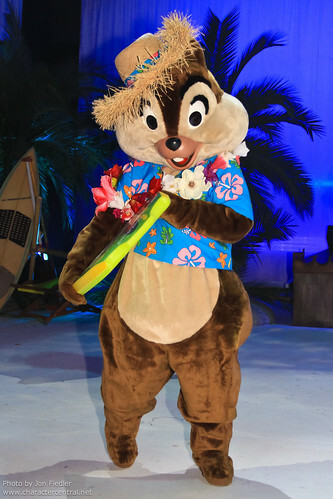 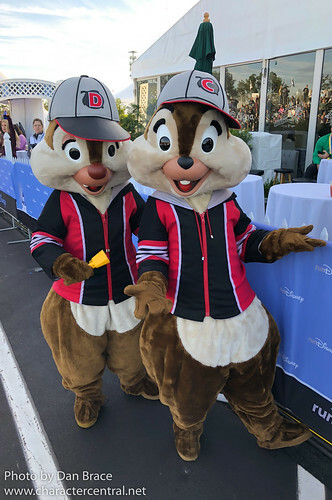 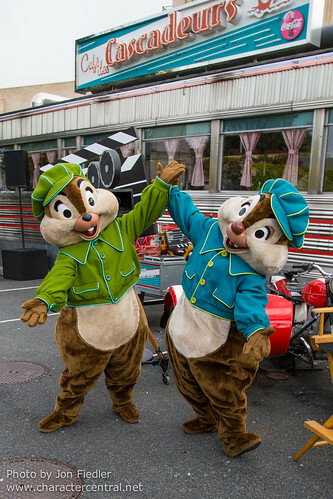 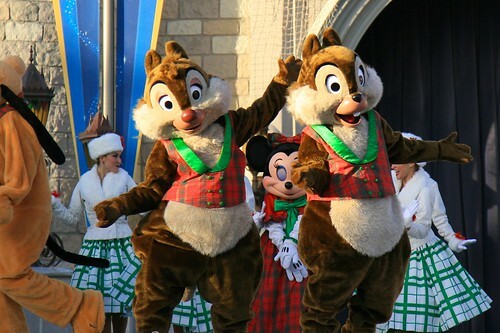 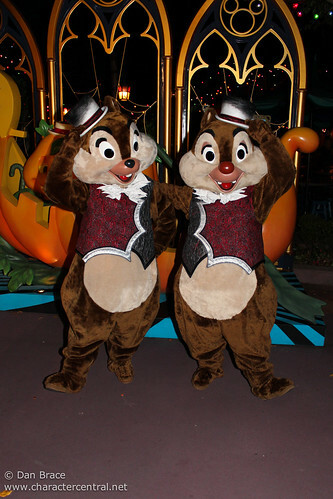 Chip is one half of the brotherly due, Chip and Dale. 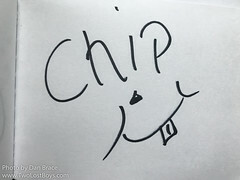 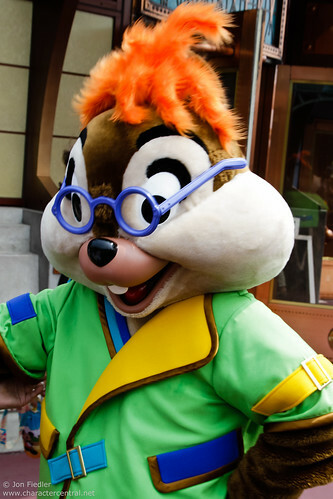 Chip is often just as naughty as his brother Dale, but when it comes to saving the world with their Rescue Ranger pals, Chip takes on a more serious role. 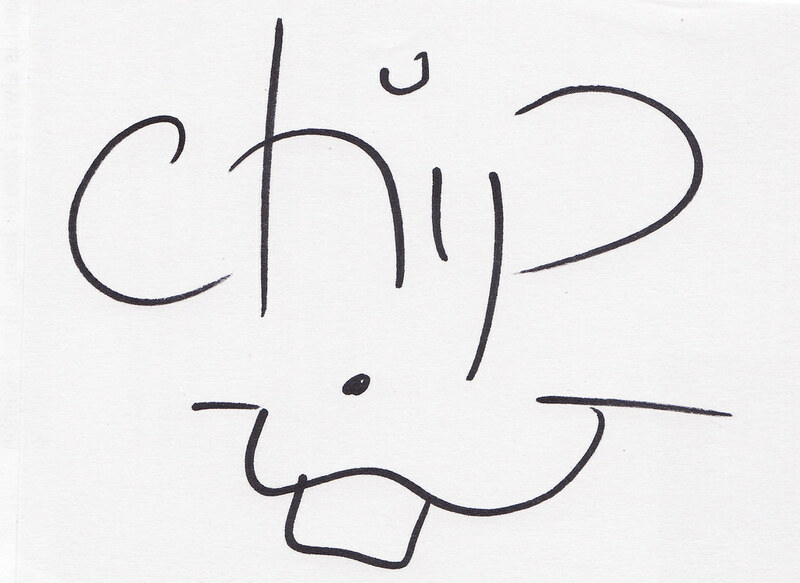 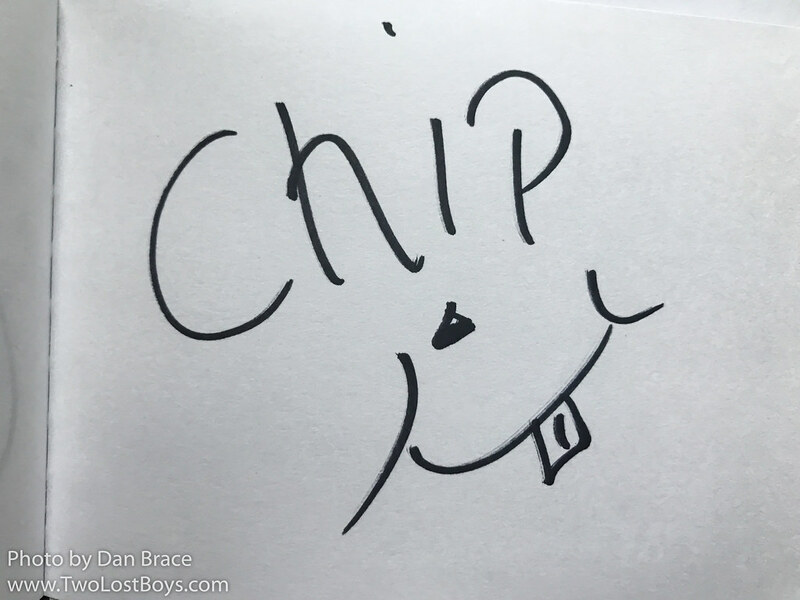 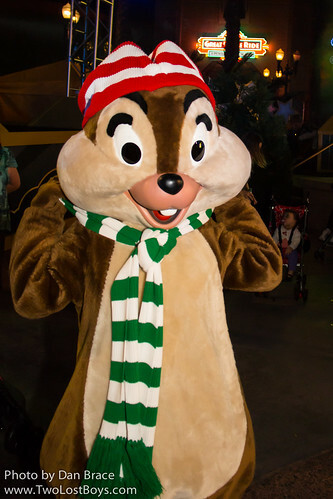 Whether it be hiding in a Christmas tree annoying the frustrated Pluto, or solving another villainous plot hatched by Fat Cat, Chip is a loyal friend, and great detective. 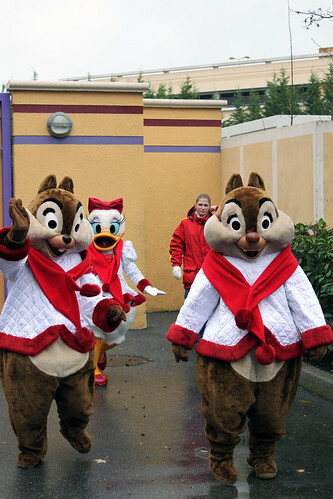 At Disneyland Paris they can be found pretty much anywhere from Discoveryland, Frontierland, and Adventureland in Disneyland Park; and in Production Courtyard at Walt Disney Studios. 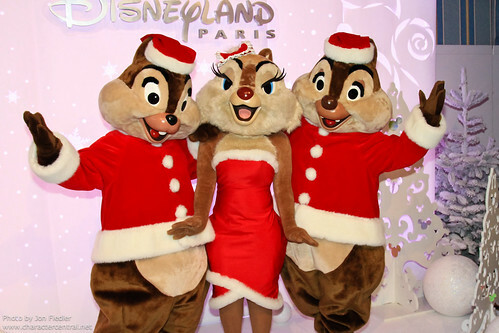 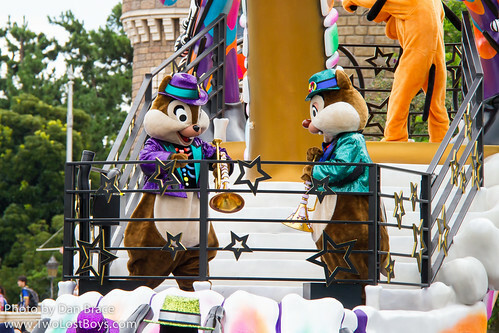 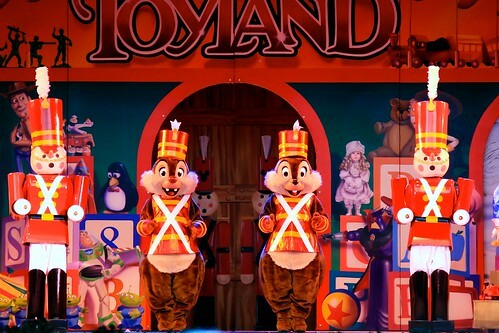 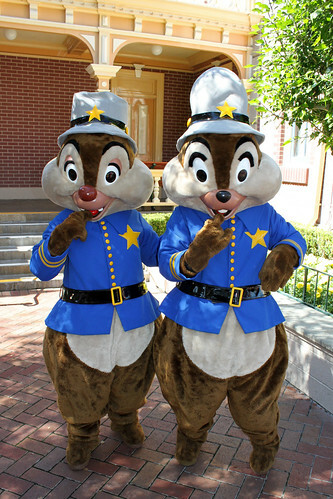 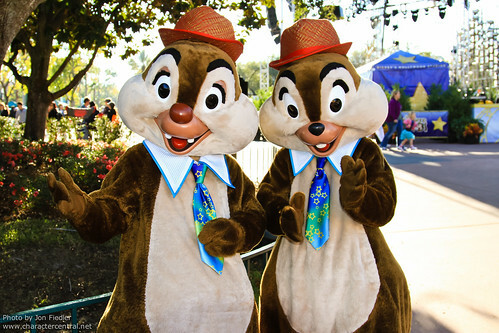 In Disneyland California Chip and Dale are frequently in Town Square, and Toontown. 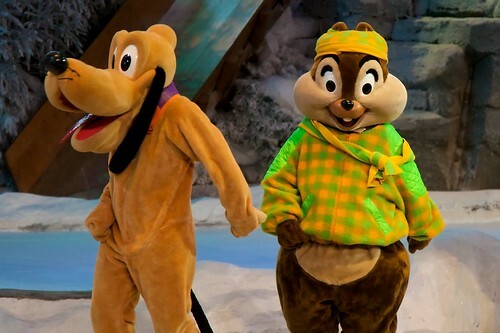 Over at DCA they meet near Grizzly Peak. 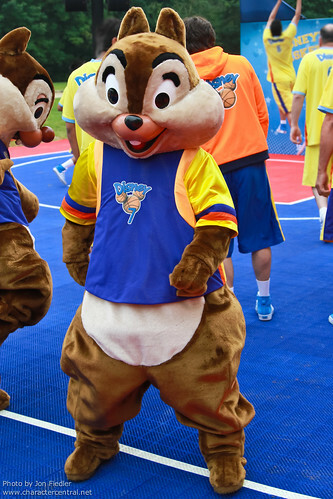 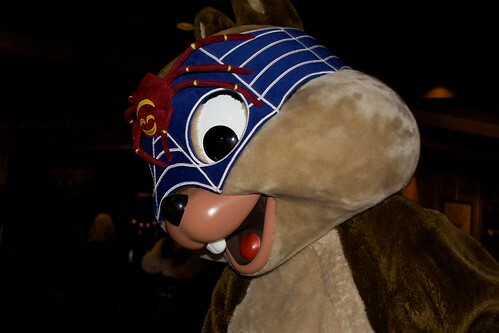 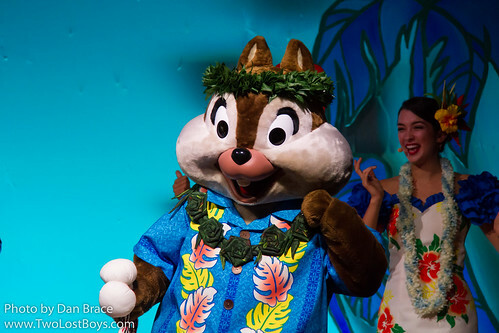 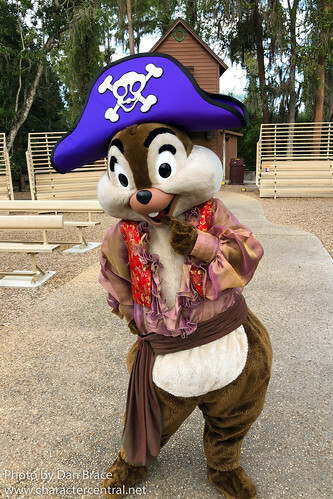 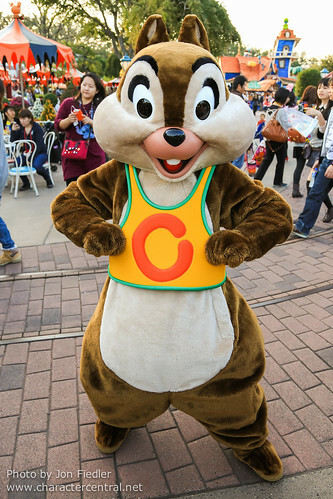 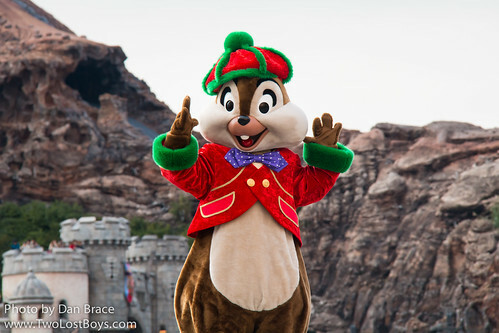 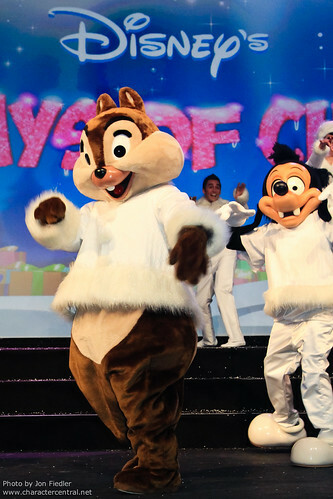 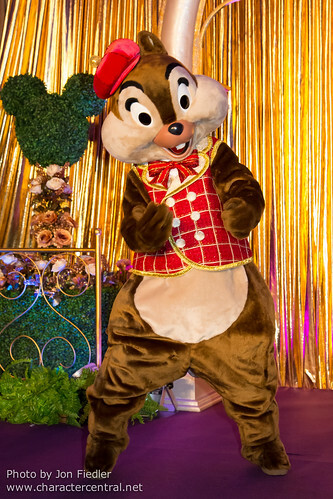 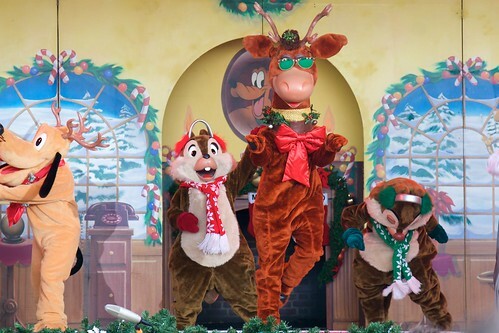 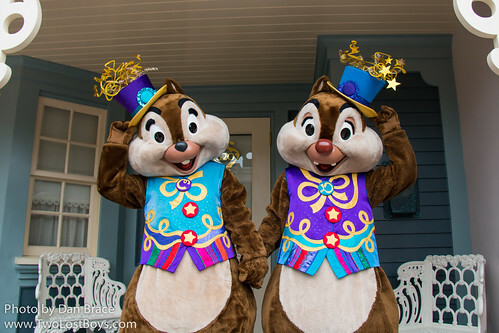 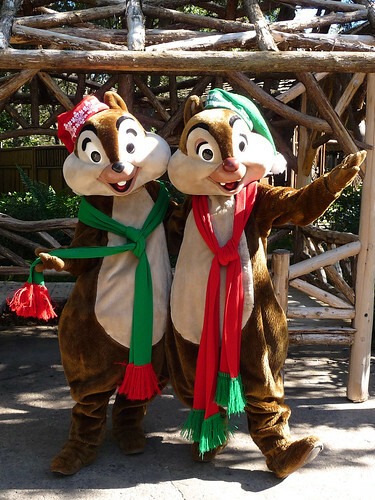 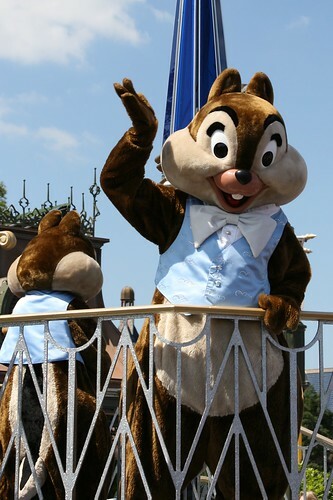 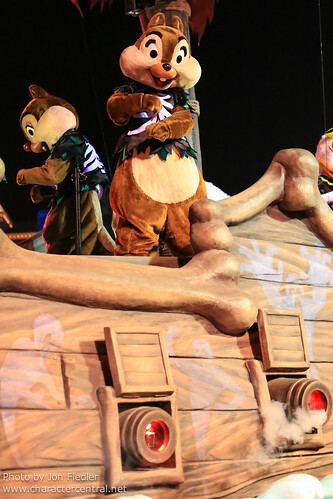 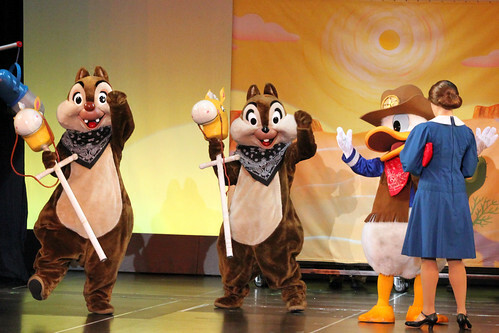 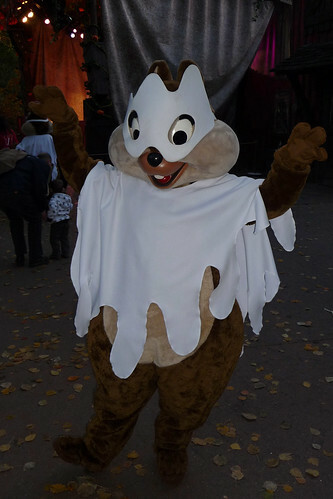 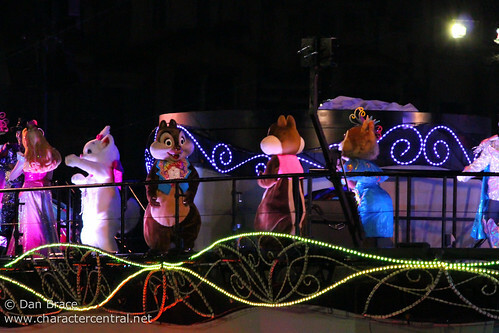 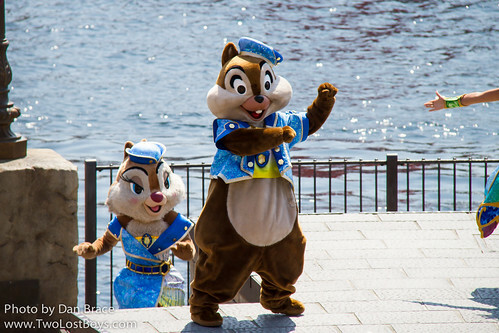 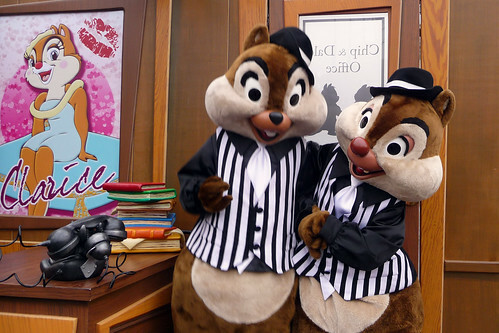 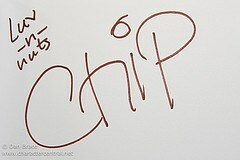 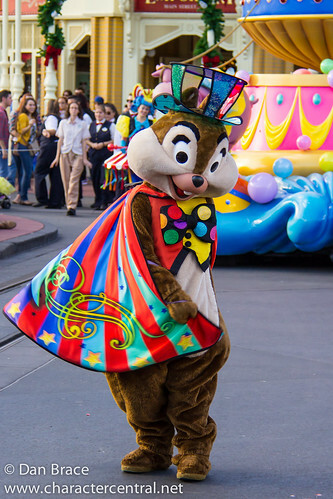 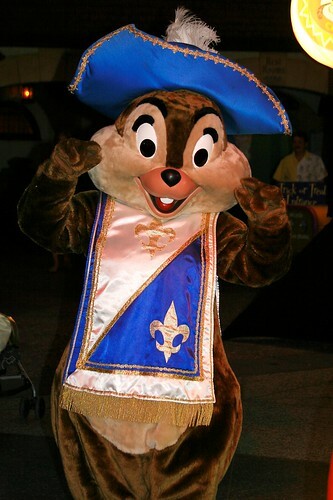 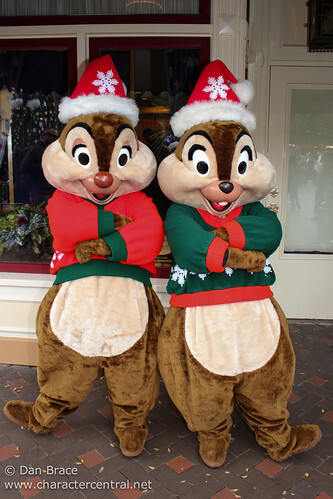 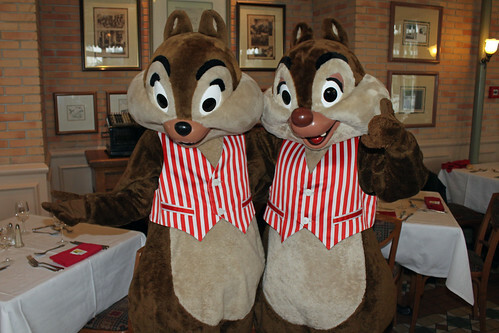 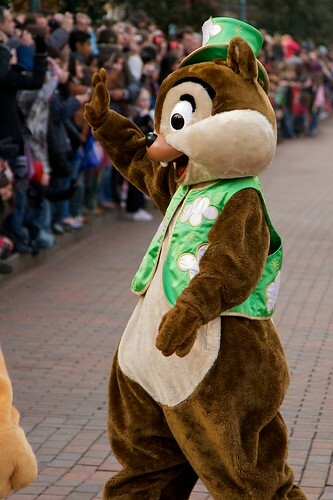 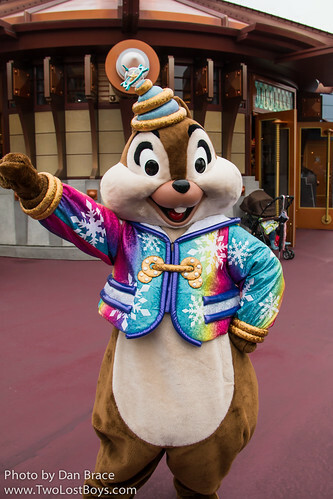 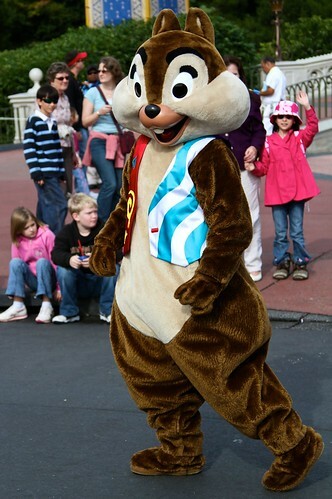 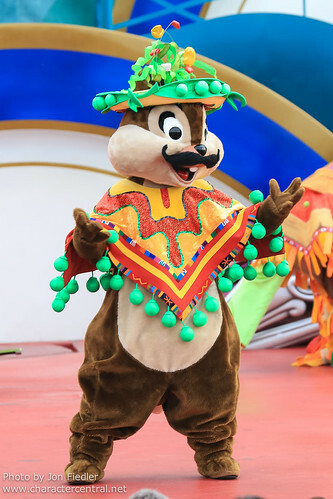 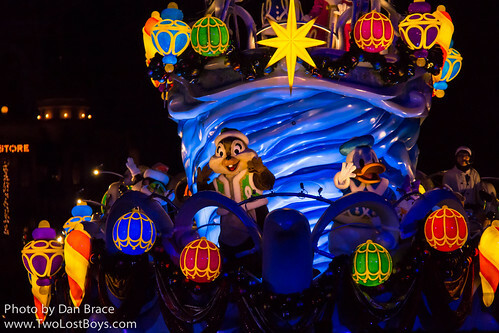 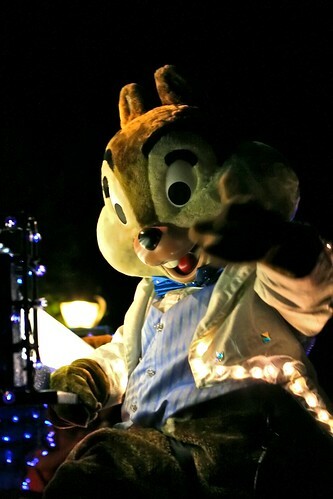 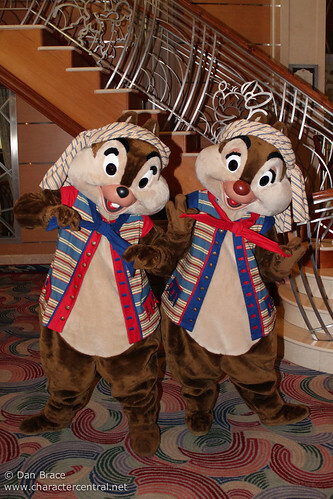 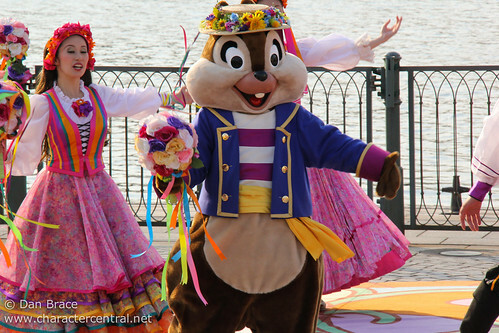 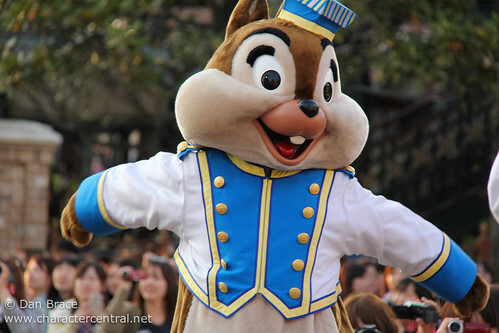 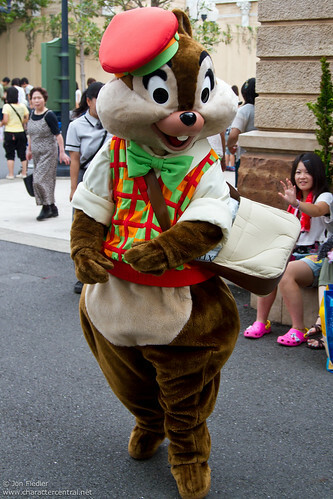 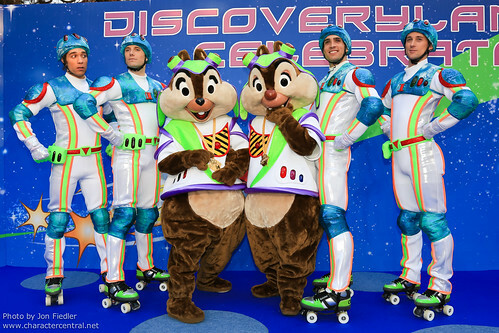 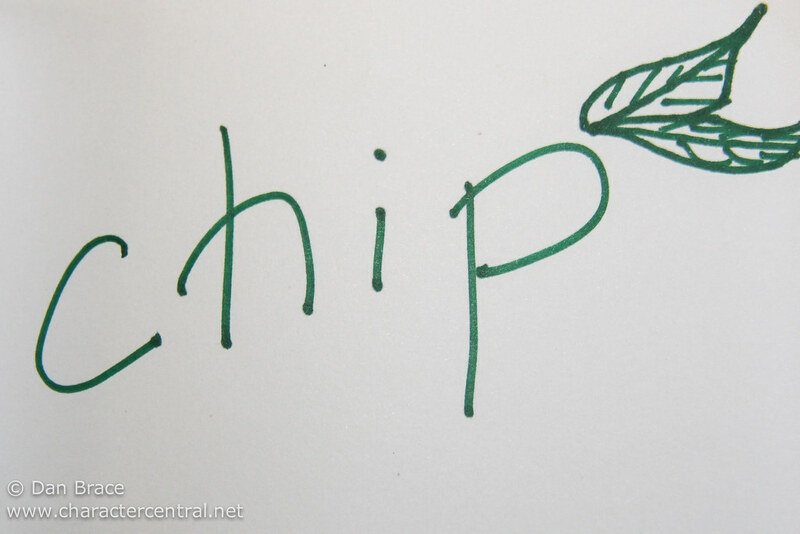 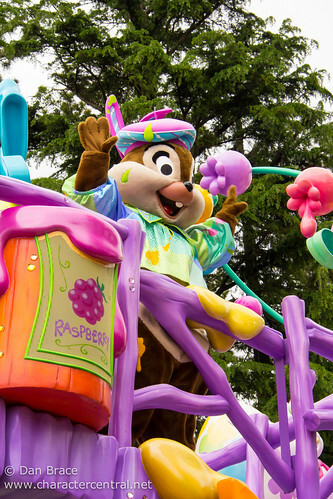 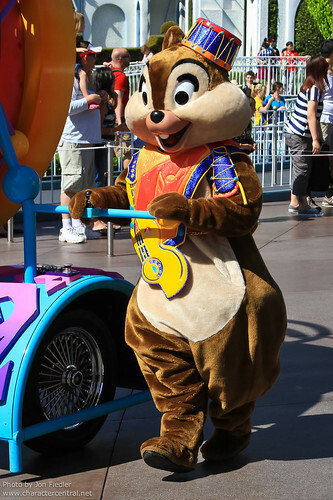 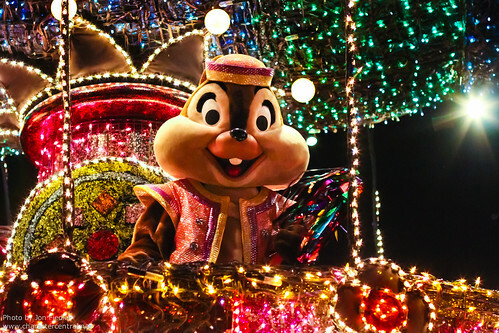 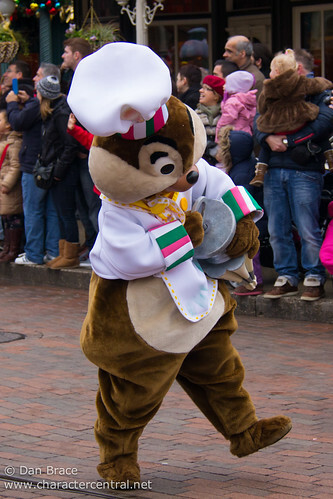 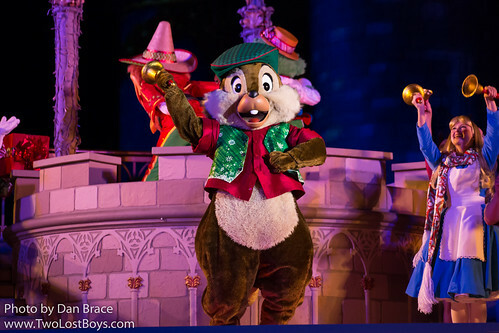 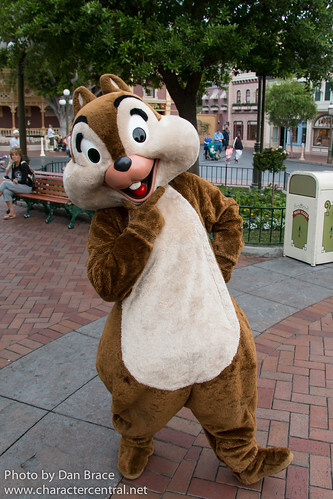 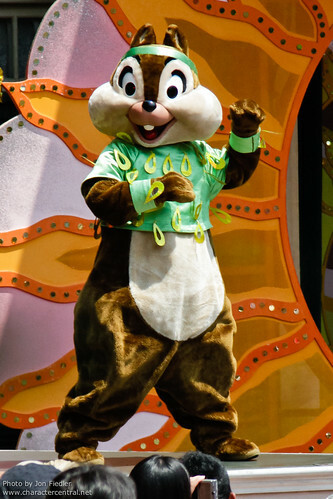 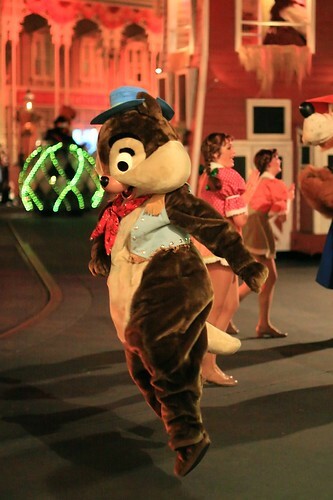 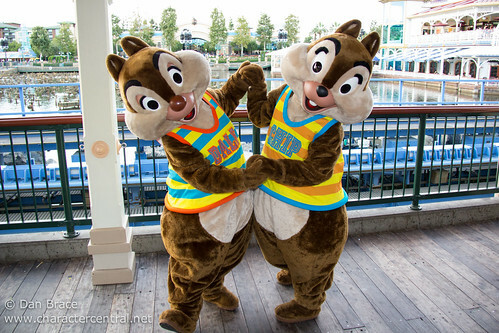 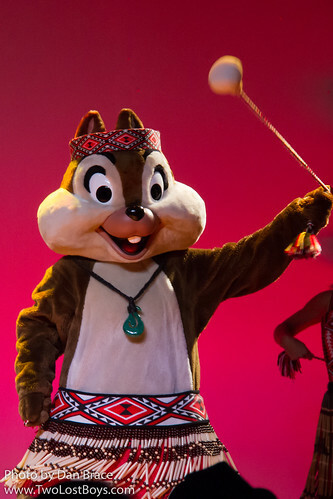 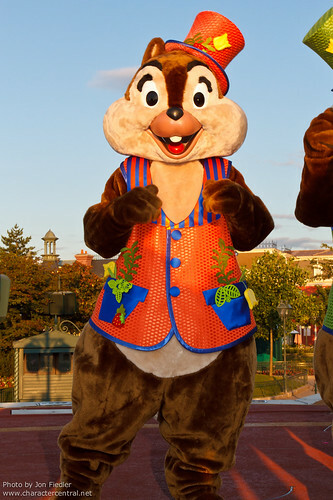 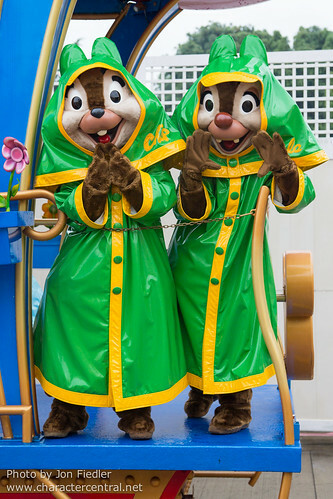 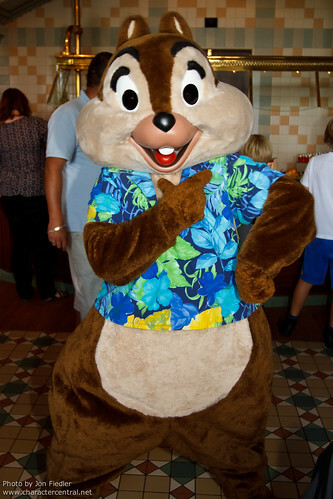 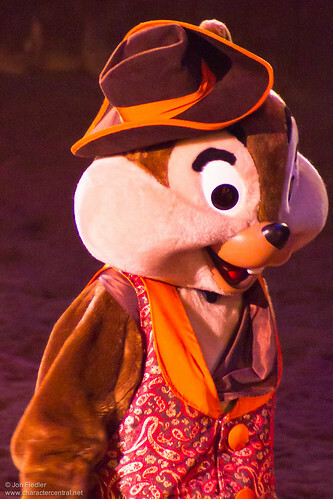 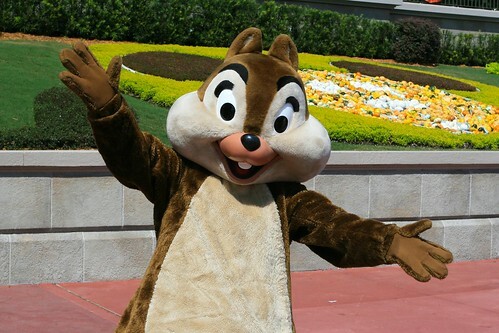 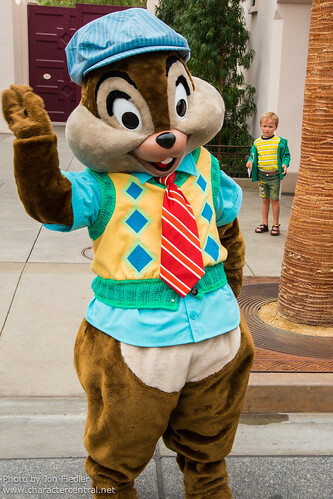 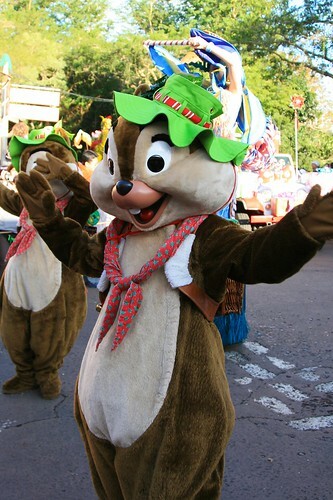 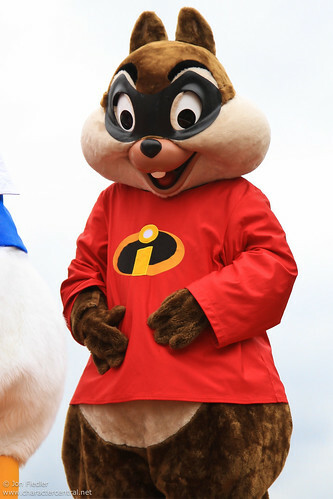 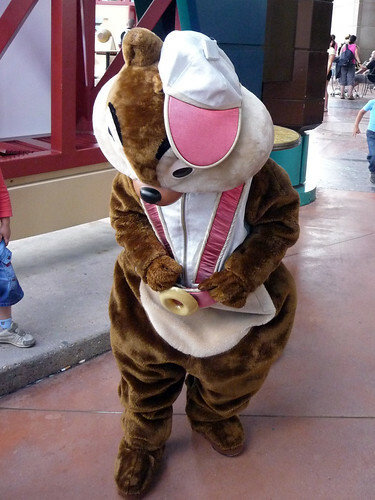 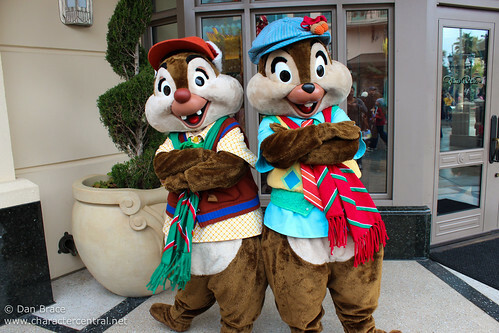 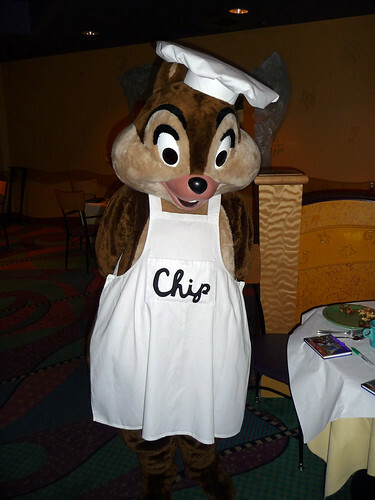 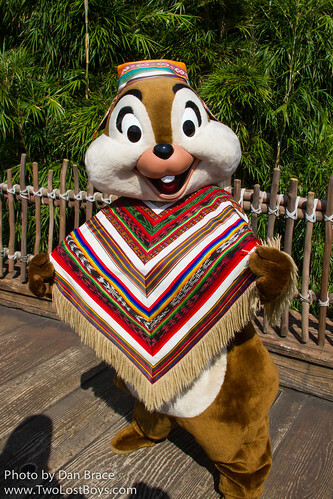 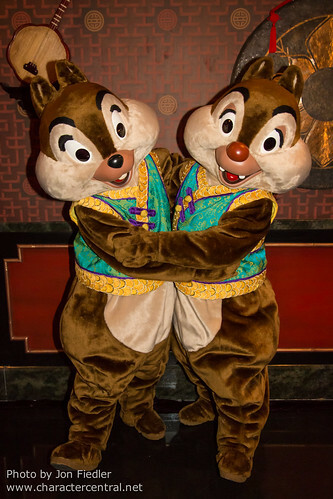 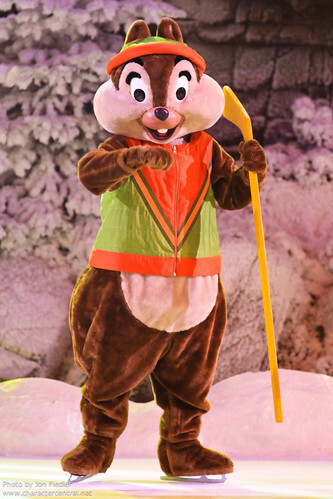 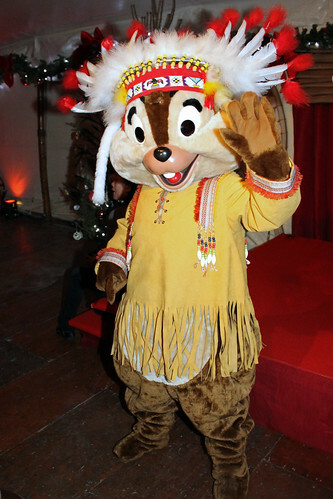 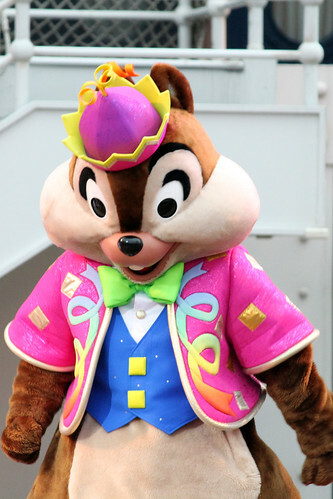 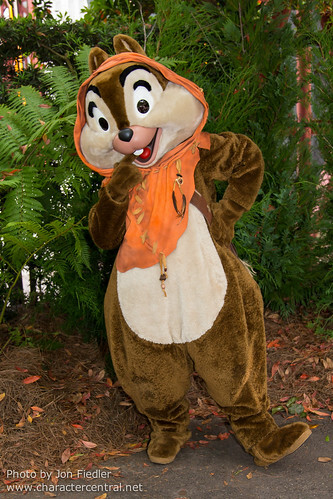 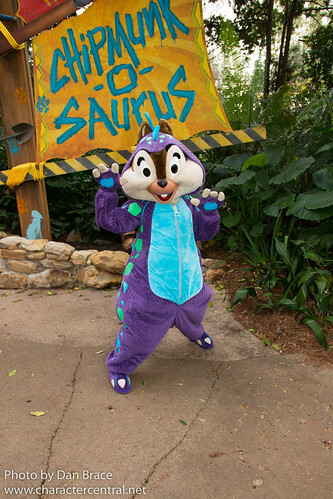 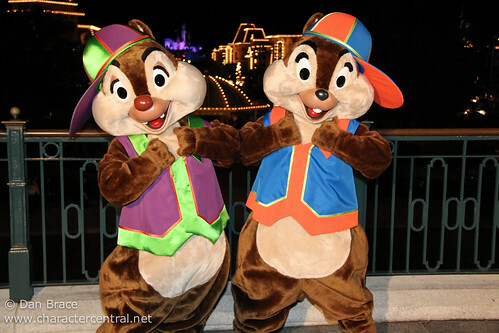 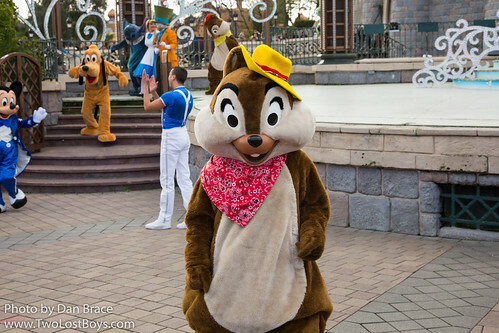 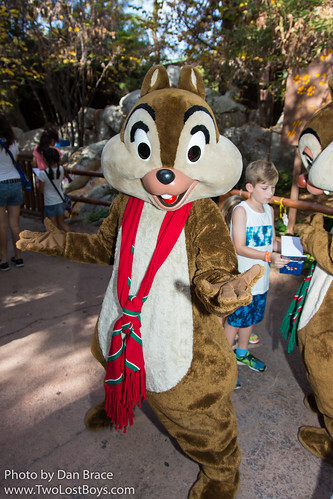 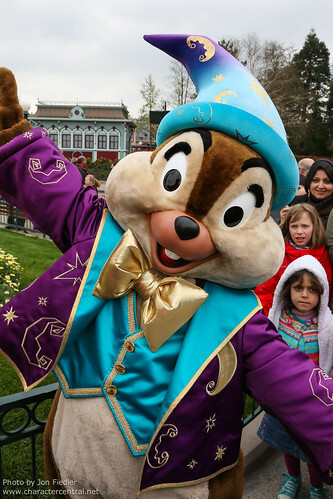 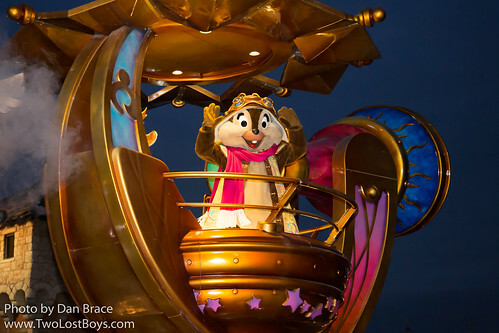 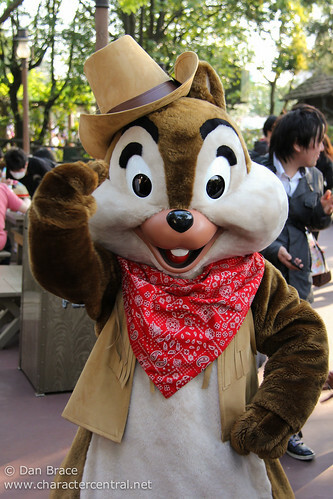 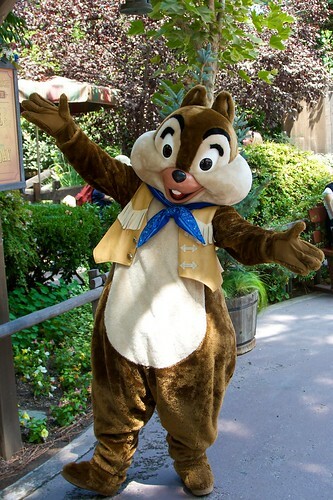 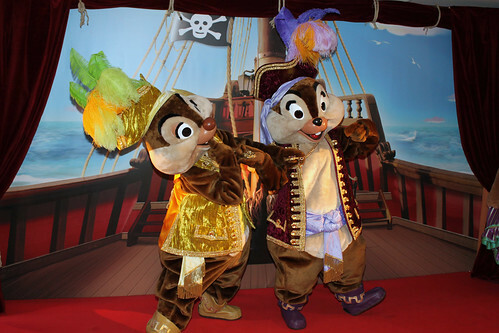 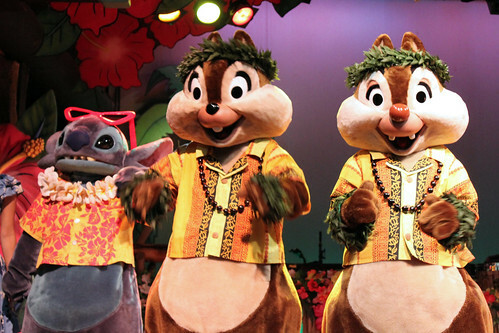 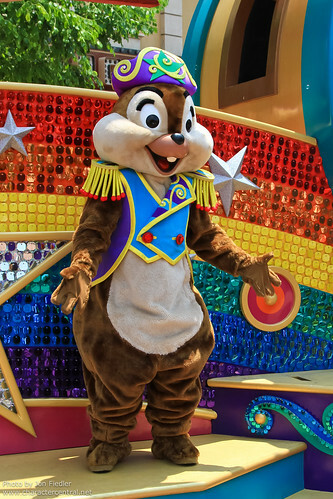 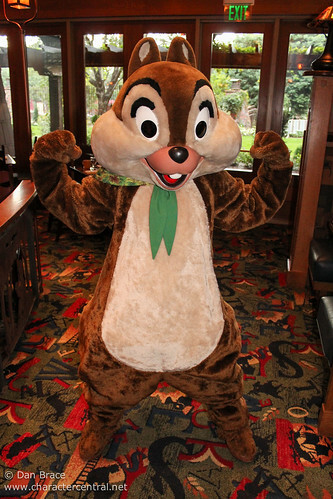 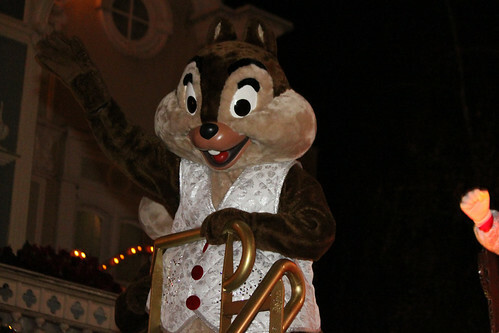 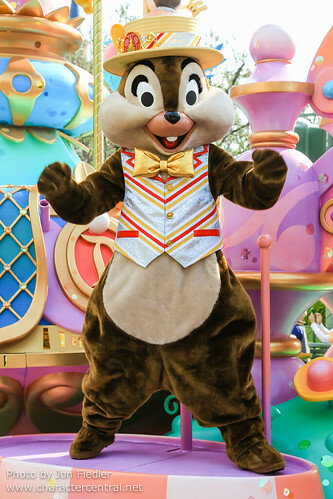 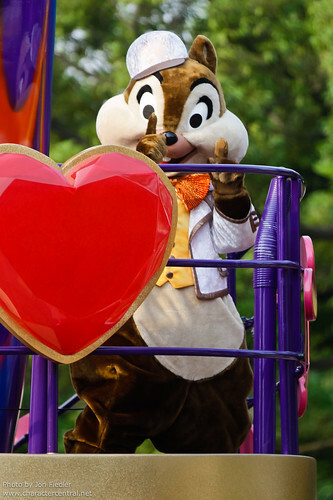 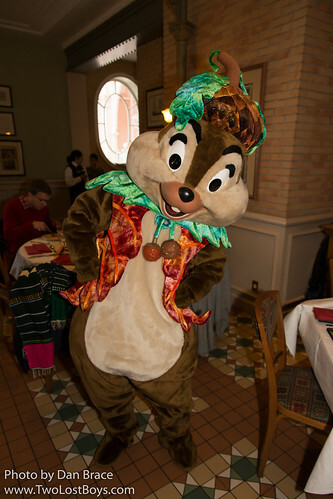 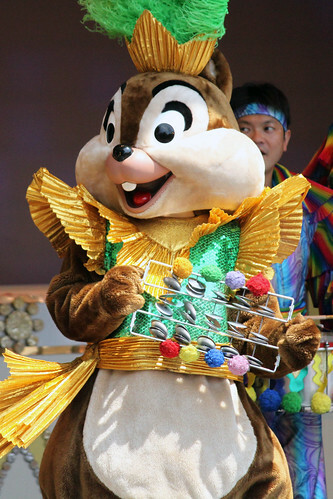 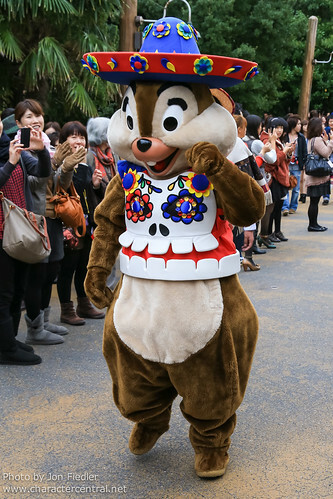 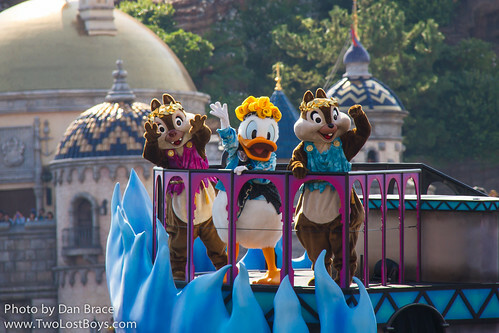 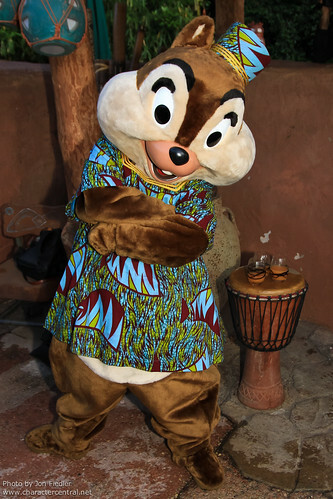 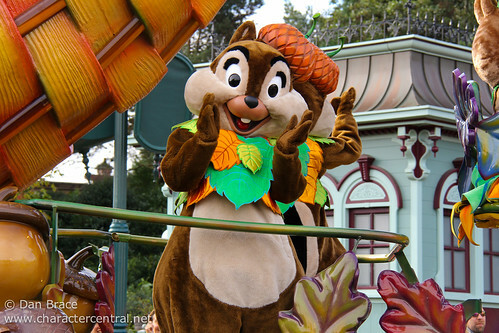 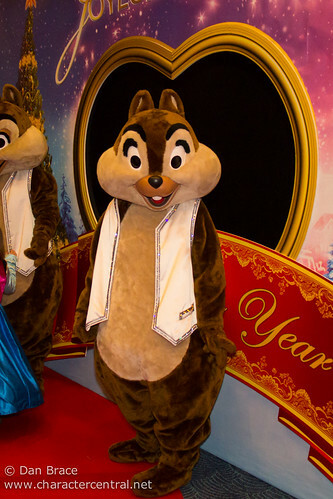 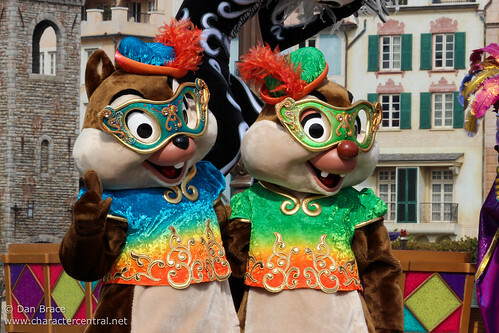 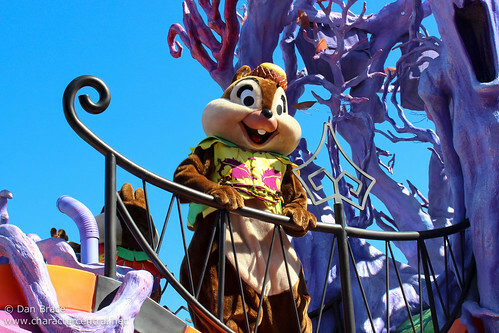 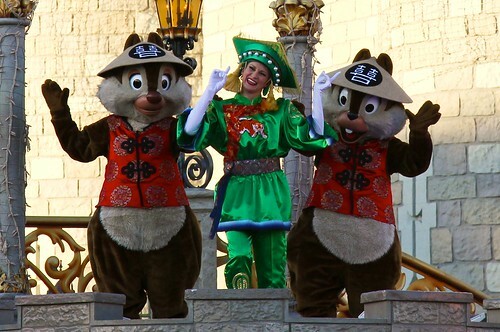 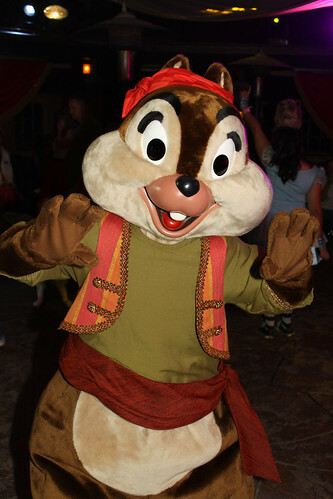 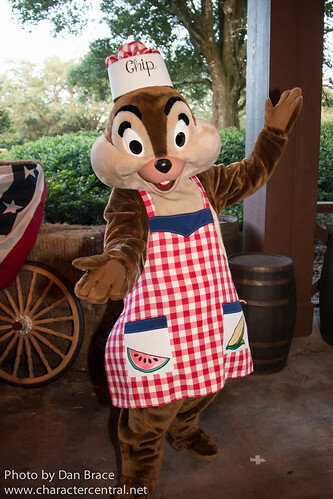 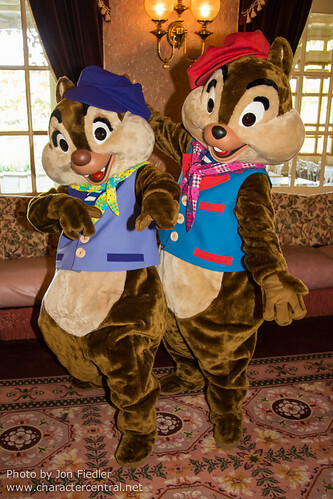 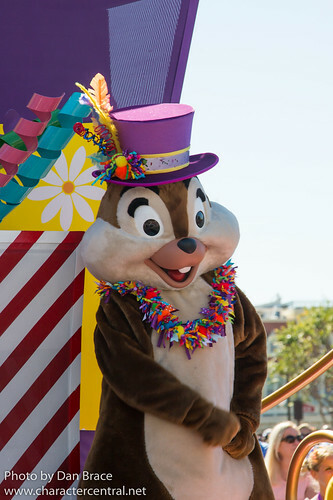 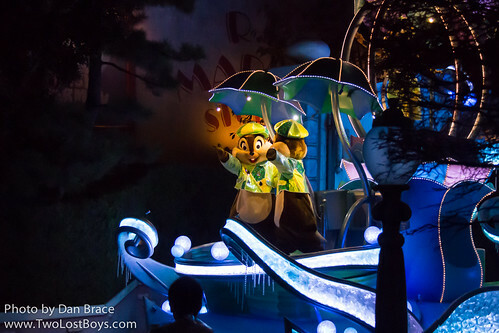 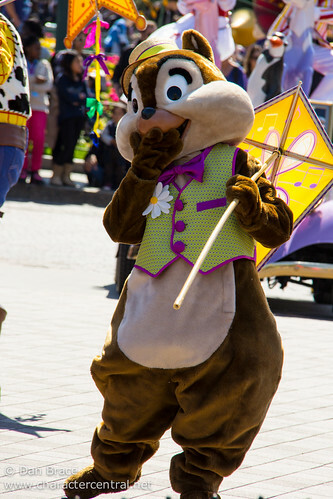 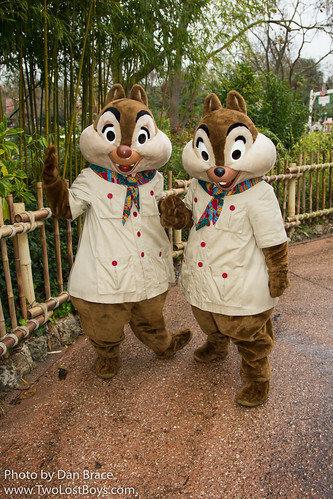 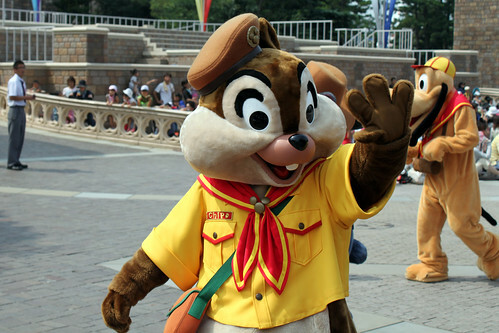 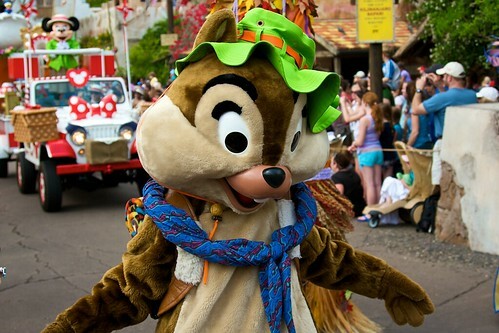 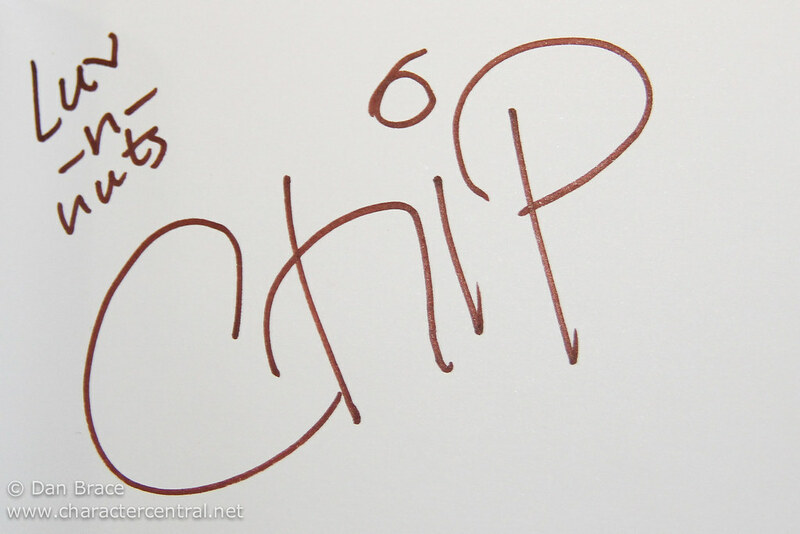 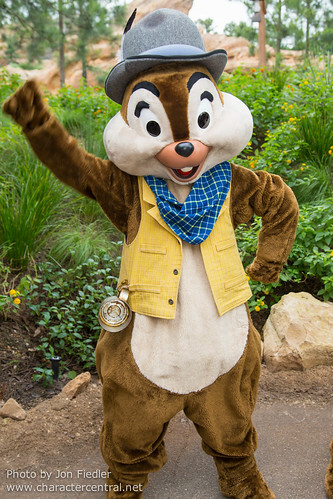 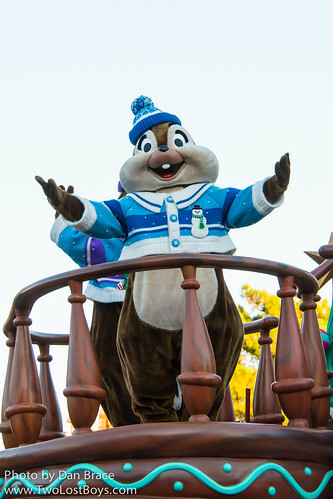 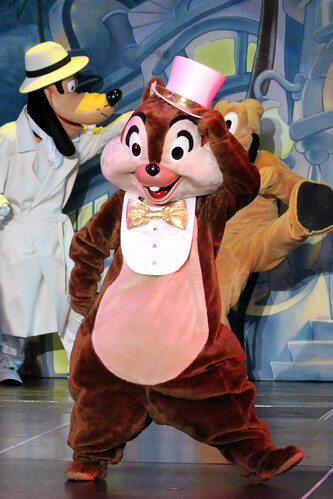 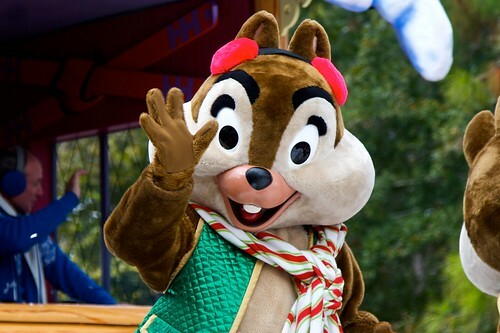 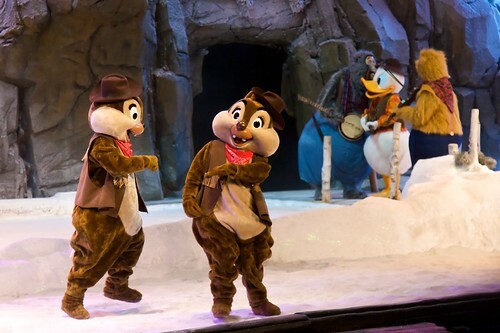 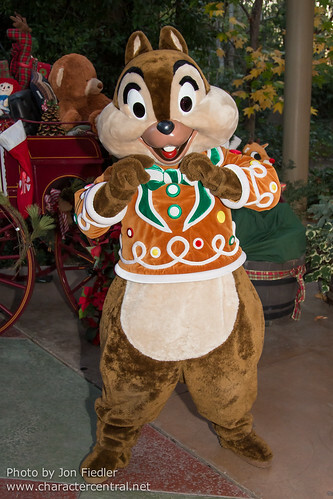 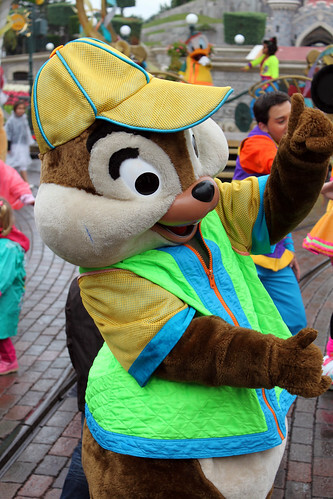 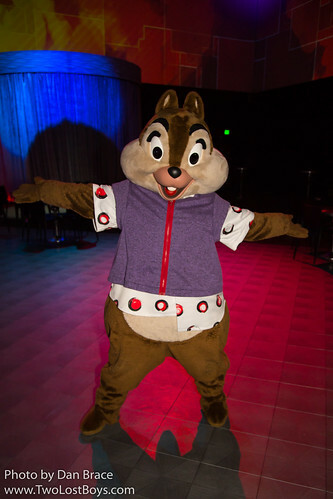 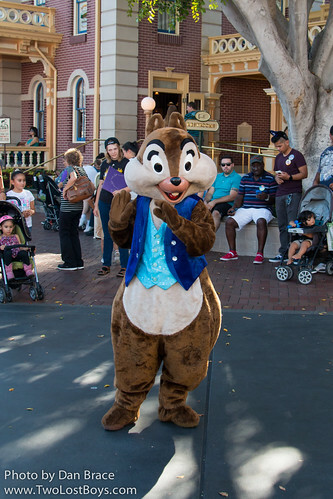 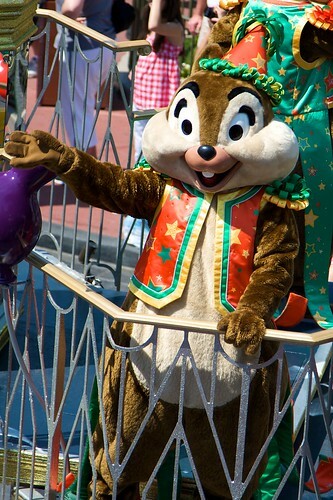 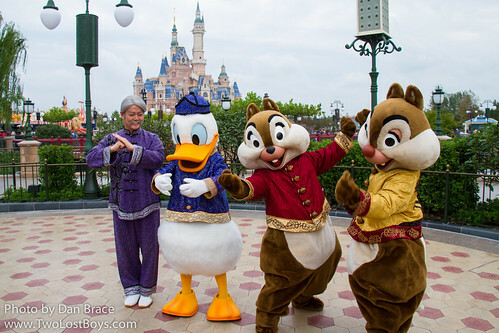 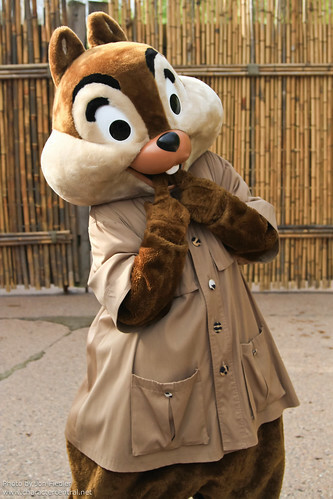 Chip meets regularly in Hong Kong Disneyland, either on Main Street or at Grizzly Gulch. 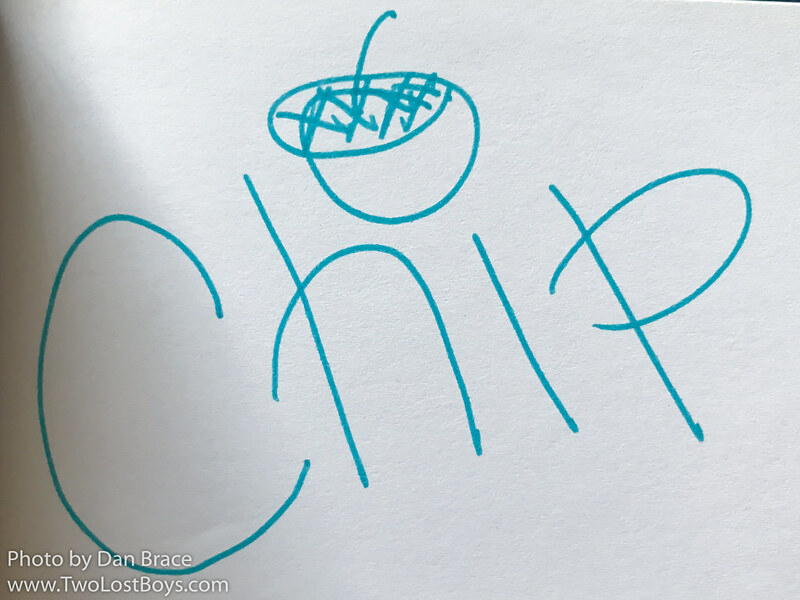 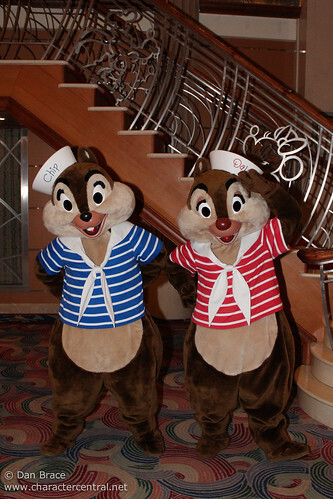 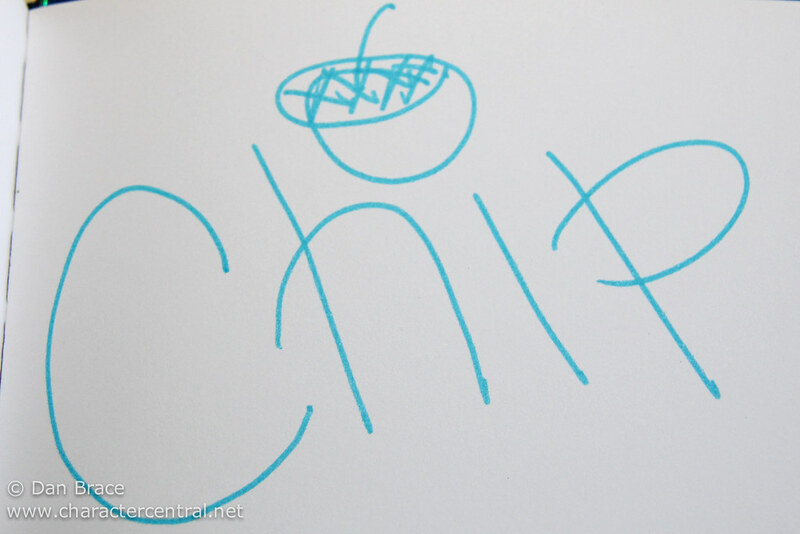 On the Cruise Line, Chip can be found in various location throughout your sailing, from Pirate Night, Formal Night and up on deck. 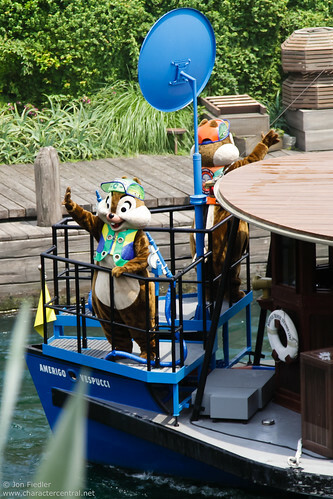 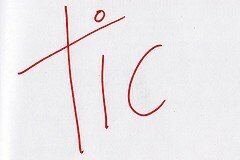 Check your Personal Navigator everyday for details. 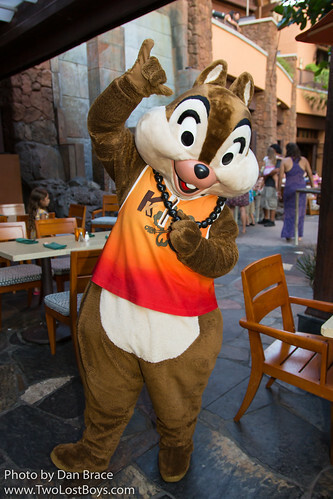 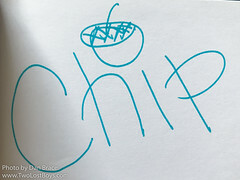 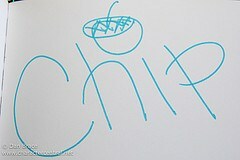 At Disney Aulani Chip can be found around the Waikohole Valley intermittently throughout the week.